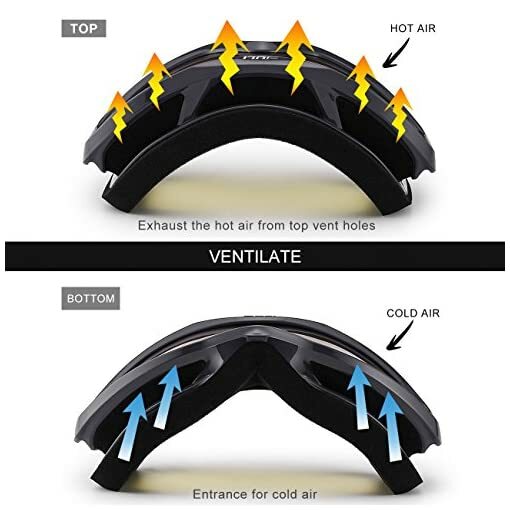 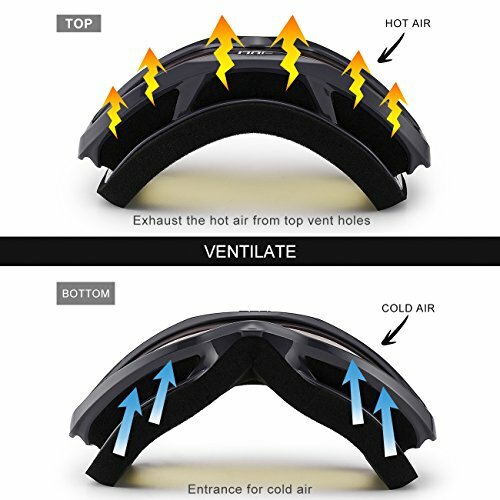 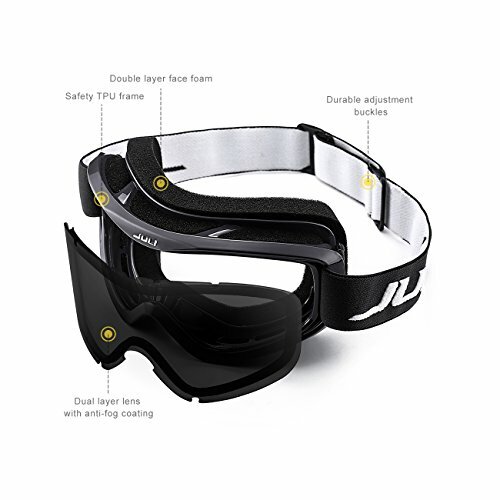 PROFESSIONAL VENTILATION- Designed to reduce fogging and optimizes the flowing air over the inside of the lens. 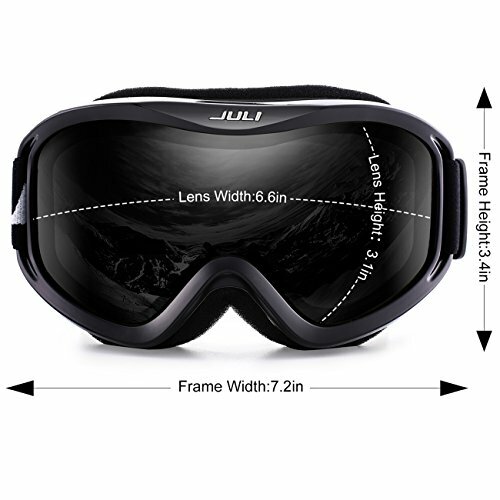 ski goggles provide smooth air-flow system which brings fresh air and exhaust moisture quickly and effectively. HELMET COMPATIBLE ADJUSTABLE STRAP- The extra long elastic strap for any helmet compatibility.It makes these the perfect goggles suitable for both men, women & youth. Padded with an adjustable strap, these goggles are also suited for most ages and head sizes. 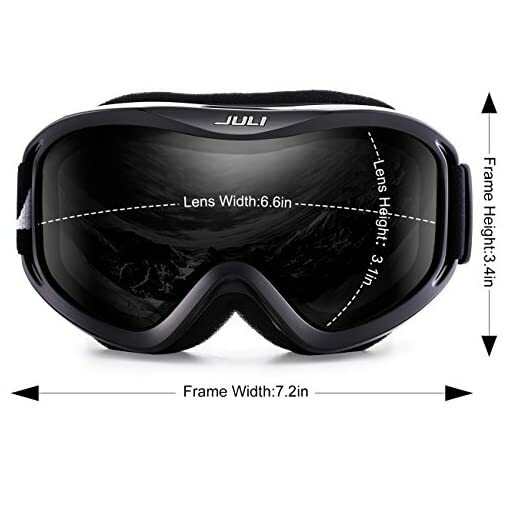 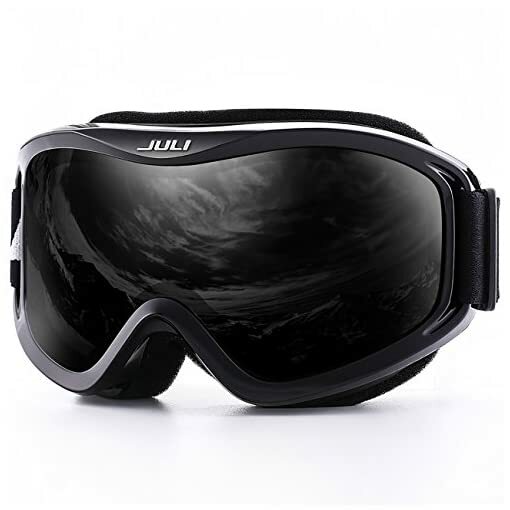 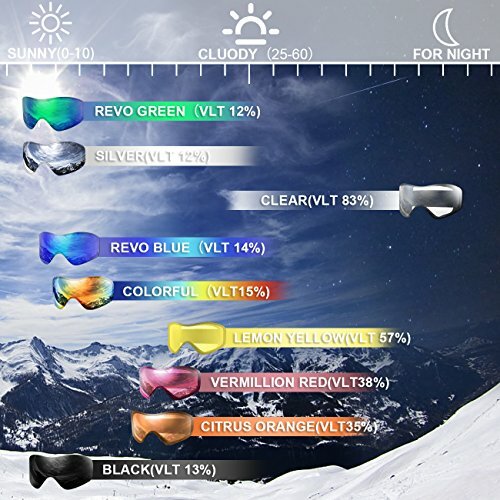 The JULI ski goggles featured with double lens made of solid PC material which came with unique material anti-fogging treatment and 100% UV400 protection that cuts the glare. Available in a variety of different styles and colors, these are the perfect goggles not only for skiing & snowboarding, but also works great for All-Terrain Vehicle(ATV) snowmobile and snowcross,gliding,skating. 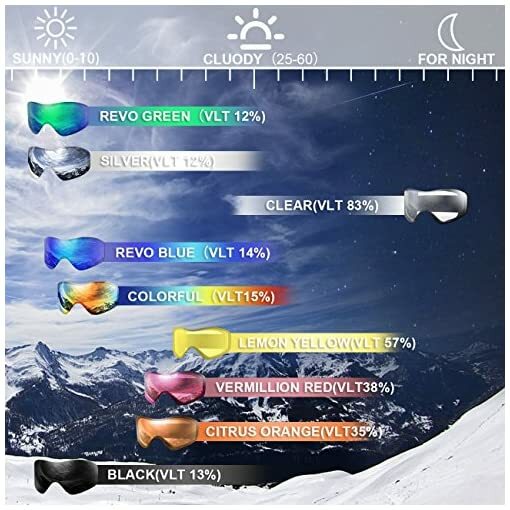 COLOR OPTIONS FOR EVERYONE- Available in a variety of different styles and colors, these are the perfect goggles not only for skiing & snowboarding, but also works great for All-Terrain Vehicle(ATV) snowmobile and snocross,gliding,skating. 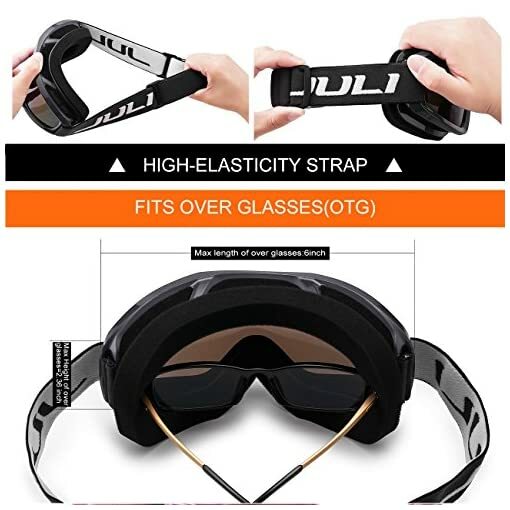 30 DAY MONEY BACK GURANTEE- All JULI customers enjoy 30 Day Money Back Guarantee. 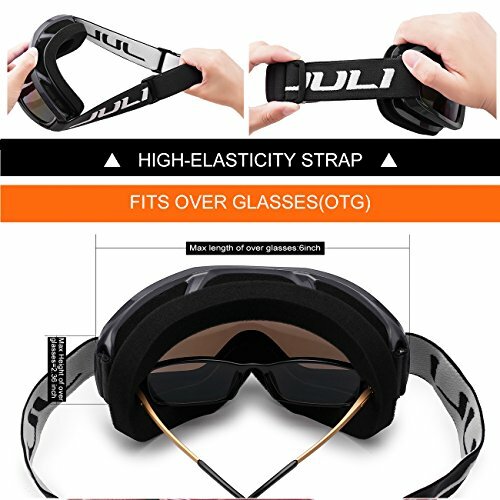 Customers can return and get refunded in case the purchasing is not satisfactory for any reason. 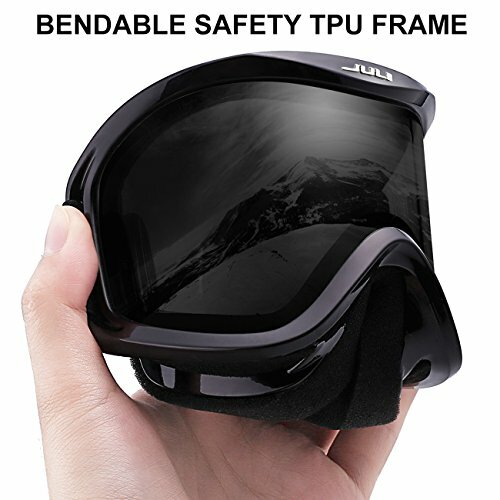 You have no risk to try.